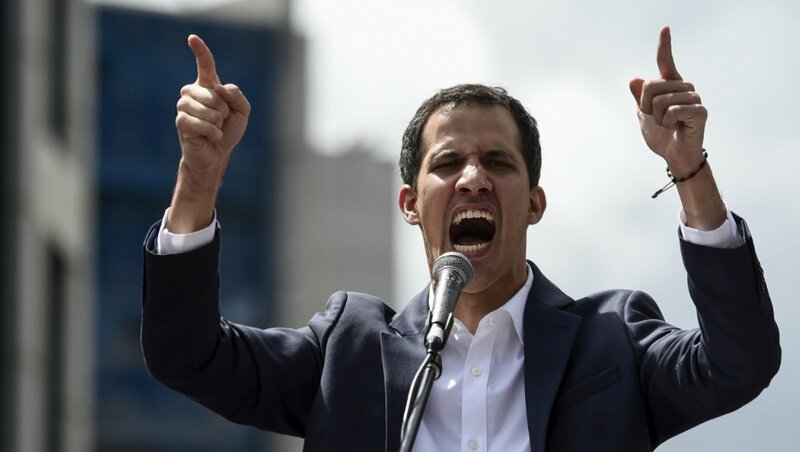 When I heard that Juan Guaido, a graduate of George Washington University in Washington, D.C., had proclaimed himself president of Venezuela, I was reminded that his fellow GW (and Harvard and Princeton) graduate Syngman Rhee was flown to South Korea by the United States government and put in charge of the place, and given the power to commit massive atrocities the greatest of which was pushing the Korean peninsula into war. Does George Washington University recruit students with promises of small distant countries in which to have life-and-death power over the primitives? Now, call me crazy, but I'd like to leave it up to the people of Iran to run their own country, free of sanctions, lies, and threats. But the dictator-export industry does not seem to me to be completely without value. Surely there must be some place to which despite his troubled apprenticeship we can now export Donald Trump.